Might I suggest one of Mel's two options? Classic X-Wing games geometry or with the standard Tie ball cockpit. Top one looks great, but I'll have to check my copy of the game. I thought I remembered the wings being more front-back symmetric. Because we loved flying in a Defender and want him back. Also, he'd be a cheap (for a Defender) I5 pilot. The TAx1 is terrible, again. Vader is okay if he has Supernatural, but outside of that the ship is not competitive. I think the designers were so afraid of Vader that they handicapped the chassis too much. Just compare it to any of its competitors in the same price range and the platform is laughable. This certainly feels like fact. But even if they kept the Evade it wouldn’t help the TIE Advanced x1 much. Lets be real though, in 1.0 Vader was the only guy. Nothing has really changed. Flying Maarek next to Vizier (or another Reaper helps) as you can be sure to get into combat with Focus and Lock. I ran him with Debris Gambit and FCS last time. Predator Fel and an Ion Turret Aggressor round out the list. It’s decent and there is room for crew activities like Deathtroopers. I didn’t get much value from them though. Yeah Steele is pretty meh here, I'd much rather have Juno back as the I5 pilot, Ved has her ability but lacks the initiative to make full use of it. The ship does have its perks, the system is nice and unlike the Phantom it can make use of Fire control which can really boost action economy against non swarm lists for just 3 points and crits are extremely nasty in 2.0 but overall the Phantom just outclasses it in ways that an extra two or three points and lack of target locks don't make up for. I think the issue is that the ship was balanced around not making Vader horribly OP and most of the other pilots were an afterthought. That's the only reason I can think of that it wouldn't have the evade action. I’ve had good luck with Marek and Ved. I do like both of their abilities. Ved is a slippery bugger, fun to use. I will say they really benefit from a support ship. Jendon pairs nicely, as does Sai. Debris Gambit on the non Vader pilots is also good. Marek with FCS and Debris Gambit can be nasty, one of the most consistent offense around. The vulnerability when taking the lock is true, but mitigatable. It is why most of the time I have a shuttle with. But they are a crit factory, and likely to have 3 hits every turn with FCS. I’d not even bother with any other System, FCS is the obvious pick given the ship ability. But I managed to take out Super Luke 1 in 1 with Ved, his ability is extremely useful. Just dial a 2 speed every turn and go. It’s pure jank, of the best type. I must say I'm confused about how Initiative 4 Ved Foslo's ability helps versus Initiative 5 Luke. If it's 1v1, you should always be choosing your dial and executing your maneuver before Luke has done anything. Is there something that is occurring in the Systems phase in the Foslo v. Luke matchup that would make you want to use Foslo's ability to change what you did on the dial? As someone who flew Juno extensively in 1.0 just the additions of hard 1s, 3 and 5ks and more greens to the dial is a huge boost. I would agree with this. Evade in 2.0 is weaker (changes a die, doesn't add a die), and focus tokens do more (change any number of focus icons to evades on defense). Just the change alone to evade nerfed evade, and I think the removal of the 2.0 evade on TIE advanced doesn't lose much since the 1.0->2.0 evadenerf already did the real damage. I haven't fully done the math though, so it's quite possible I'm wrong on this. EDIT: Misremembered, been a long time since I played 1.0. 1.0 focus changed all tokens, not just one. So the above analysis is likely wrong. Needs more math. Rereading Foslo's ability "While you execute a maneuver, you may execute a maneuver of the same bearing and difficulty of a speed 1 higher or lower instead." I realize that it doesn't mean you have to execute a maneuver that's actually on his dial, right? So Foslo has a vastly better dial than normal x1 Advanceds. Cool. Now the 1v1 Ved vs. Luke example makes sense. Thanks! ...and focus tokens do more (change any number of focus icons to evades on defense). Is that not how they worked in 1.0? I guess I rolled non-blanks on dice so rarely that I never realized. @Princezilla has it. But there is another factor, unpredictability. The Luke player, just by virtue of speed changes, has more places he needs to cover. It was an uphill battle, for sure, but I was almost always able to put myself somewhere where Luke would not have a shot. Avoid, avoid, avoid, he’s stressed from doing a T-roll now I know his moves, attack. Then avoid avoid avoid. It was tricky, to say the least, and I had to carefully use the board position (we were in one corner with a rock at 2-2, which I had to use vigorously). But a 1 hard barrel roll often meant that Luke had to boost just to avoid my arc. They've always changed all eyes to hits/evades. The only difference now is that if you for some reason want to take exactly one damage and they roll three hits and you roll three eyes you could only change two of them if you wanted to. Though with Gunner no longer being a thing I don't know why you would want to do that. Yeah in basic they are fine, it's extended where they are competing with Phantoms and TAPs for a role that they struggle to find a place. "While you execute a maneuver, you may execute a maneuver of the same bearing and difficulty of a speed 1 higher or lower instead." This also allows you to clear stress on a 3 bank now, right? So built in Mk2 engine. Nice. I really wish the pilot was still Juno and also I5, I'd be all over it. I have an acehole in my triple I5 list that I'm sticking all sorts in. This combo might have been glued in. Flew a fair bit of Juno in 1.0, (not competitively). Big fan. My boy always insisted she should be able to 4 bank. I4 Ved does not get me the same way. I really wish the pilot was still Juno and also I5, I'd be all over it. I have an acehole in my triple I5 list that I'm sticking all sorts in. This combo might have been glued in. Flew a fair bit of Juno in 1.0, (not competitively). Big fan. Yeah I really miss Juno, I took a few Store Championships with her. I have some success with Maarek with Fcs/Markmanship for 54 pts (Same as Soontir). A decent ace and perfect with a ship with coordinate ! It's a ship that my opponent ignore until he did 3 criticals ! I don't put him too much for joust because green dice but if I can use his ability as much as possible is good. Seems that if he can work, it's only with the right team behind him. Sai give a focus (and gain to) for Marek who can now lock and give the shot. Soontir & Duchess for arc dodging and here to strip enemy shield for Marek ! Nice. I would quite probably not be targetting Maarek early there. The best thing about not being vader is getting access to debris gambit. The worst part about not being vader is having nowhere near enough actions. The x1 desperately needs the support of coordinate and/or palp. Yeah Steele is pretty meh here, I'd much rather have Juno back as the I5 pilot, Ved has her ability but lacks the initiative to make full use of it. I’m not saying Ved is good. He still suffers from the action economy issues that the rest of the chassis does. But I don’t agree on the initiative thing. He’s more like Ryad. You know what you are going to do most of the time, he just gives you a ton of different moves not normally on the dial. That is good. None of the moves he can change to are really going to give him a positional advantage. That comes from pre or post maneuver reposition. this is fun list i made and worked well. 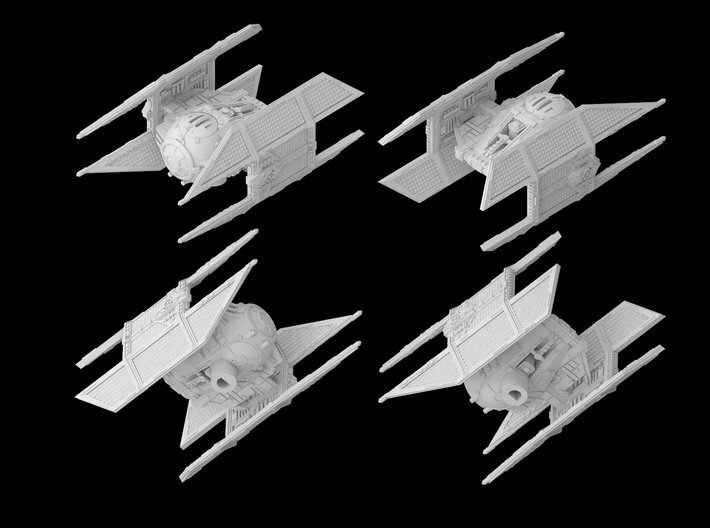 Ved is ok and marek can be good but I see the tie advanced (excluding Vader) as an entry level ship. 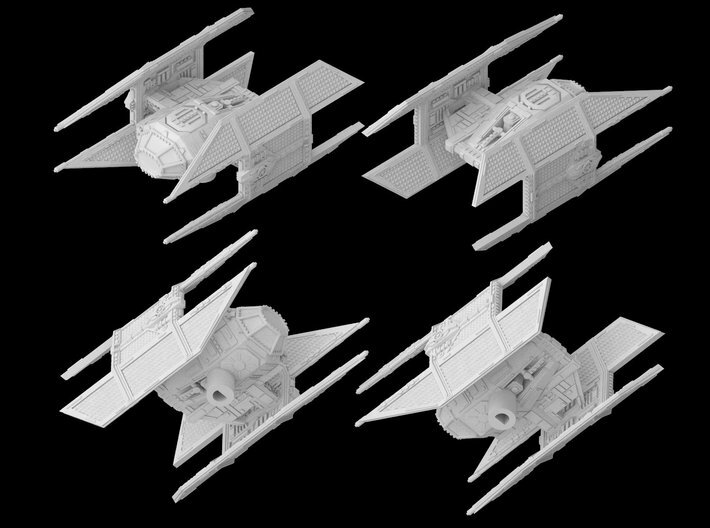 Strikers and phantoms have a significantly higher ceiling but they can be challenging ships to fly for new players. I think the advanced is a less efficient ship but it has a higher floor.